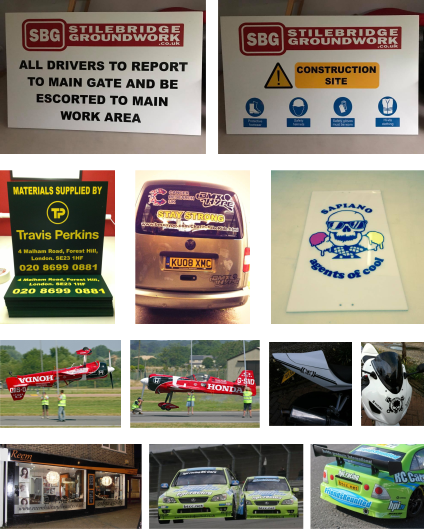 DizRat specialises in made to order vinyl graphics for signs, cars, bike, boats, plant machinery, airplanes and anything else you need a stick for! Our range includes cut stickers and printed graphics, any shape, size, colour and quantity. We offer a free design and measuring service and will work with you until we create the exact design for your needs. Over the years DizRat have been proud to win various design awards including the prestigious award for the people's choice best decaled British Touring Car, for our HPI-Racing with Friends Reunited designs. 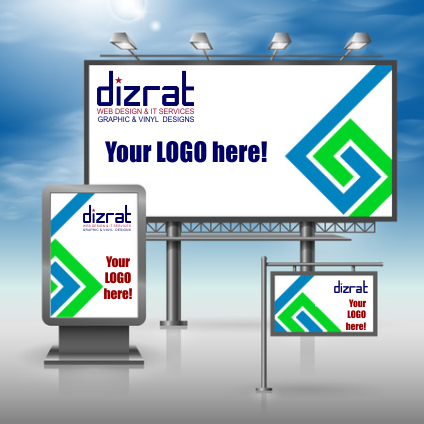 At DizRat we supply the whole package, from design to manufacture. All of our vinyl signs are manufactured in-house at our workshops in Yalding which is near Maidstone in Kent. We can produce vinyl graphics as a traditional cut graphic or a high quality printed graphic if required. Our sign boards can be made from various types of materials including, Aluminum, Foam-ex, Correx, Perspex, Reynobond, Fibre Glass and Carbon Fibre.